In 2016, the State Hermitage museum organized more than 40 temporary exhibitions in St. Petersburg and 20 more outside the city, including the Knight of Despair | Warrior of Beauty by Jan Fabre. In 2017, a snapshot of the most awaited exhibitions offers a wide range of themes with the Russian Revolution as a headliner. Mikhail Pyotrovsky, director of the Hermitage, recommended a few events throughout the year. 1. Nafertiti and the Valley of the Kings. Collection of the Egypt museum in Turin. The centerpiece of this exhibition is the monuments from Nefertiti’ (spouse of Ramzes II) sepulchre. 2. Dilmun. From Bahrain’s collections. The exhibition will feature the results of archeological searches on Bahrain’s islands in the Persian Gulf where the country of Dilmun existed, often referred to as the cradle of the humanity. 3. Retrospective of Manolo Blahnik. Shoes As Art. The focus will be on works by famous Spanish shoes designer of two last decades. More than 200 exhibits. More than 500 textile exhibits of the Hermitage from ancient times to XXth century. It’s a central theme for the Hermitage this year which is self-explanatory. The iconic image of the October (Bolshevik) Revolution is the storm of the Winter Palace where the Provisional government was working and where the Hermitage is now. The Hermitage will organize a series of different exhibitions with the main event being held on October 25 (the day of the storm). This will be a video art show at the Dvortsovaya square. 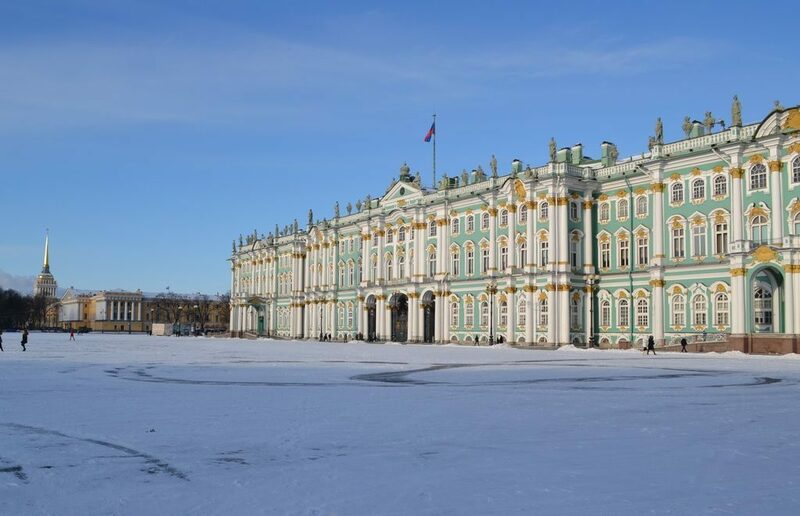 Important note: taking pictures at temporary exhibitions at the Hermitage is forbidden.